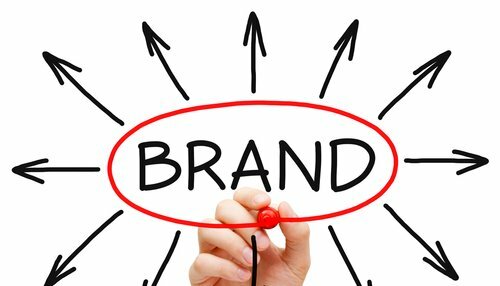 Is Your Brand Having Trouble Landing? If your business website is falling flat, it may be due to your landing page. That’s right, landing pages can make a huge difference in how much traffic your site receives. Whether your landing page is your business website’s homepage or contact page, you need to include a call to action that makes customers take the next step. You can achieve this by making your call to action stand out in multiple ways. First and foremost is placement. Your call to action should be somewhere on the page where the eye is naturally drawn. This may be the center of the page or the top corner depending on your layout. However, it’s rarely ever on the lower-third of the page. From there, you’ll want to use a font that’s slightly larger and different from the rest of the text on the page. Likewise, experiment with different colors for your call to action font. Something a bit bolder than standard black will help your call to action really stand out. As the following article looks at, if your B2C or your B2B landing pages aren’t converting; here’s why: there’s probably no sense of urgency. In order to really convert visitors into customers, you need to make sure they know how important it is that they act immediately. There’s a big difference between a landing page that says “Give us a Call” and one that says “Act Now While Supplies Last” or “Contact us Today”. When visitors are given a deadline or a limited time offer, it creates the urgency needed to convert a brief visitor into a paying customer. Your landing page as a whole is important, but there are certain aspects of your page that need to receive more attention than others. This includes your call to action, contact information, and “register/sign up” links. As mentioned above, using different fonts and colors can help make actionable areas on your landing page pop. However, if you truly want to draw attention, then you need to think about including graphic cues. Whether you use a large arrow that points to your “sign up” link or you use animation that leads to your call to action, visual graphic cues can help you make sure your customers’ eyes are going where you want them to go. When visitors first land on your website’s landing page, they want to know they can trust your site and your brand. That’s where trust indicators come into play. If your business uses VeriSign or is part of the Better Business Bureau, you can add these seals on your landing page. Likewise, nothing speaks louder than another customer’s words, so consider adding customer testimonials to your landing page as well. Brief, well-written testimonials that speak to your brand will create trust from the start. When it comes to improving your website landing page, keep in mind the helpful pointers and put them to work today. About the Author: Adam Groff is a freelance writer and creator of content. He writes on a variety of topics including website design and marketing.